The Colony of Rhode Island and Providence Plantations was one of the original English Thirteen Colonies established on the east coast of North America. After the American Revolution, it became the U.S. state of Rhode Island. Providence Plantation was an American colony of English settlers founded in 1636 by Roger Williams, a theologian, independent preacher, and linguist on land gifted by the Narragansett sachem, Canonicus. Williams, exiled from religious persecution in the Massachusetts Bay Colony, agreed with his fellow settlers on an egalitarian constitution providing for majority rule “in civil things” and liberty of conscience. He named the colony Providence Plantation, believing that God had brought him and his followers there. “Plantation” was used in the 17th century as a synonym for “settlement” or “colony.” Williams named the other islands in the Narragansett Bay after virtues: Patience Island, Prudence Island and Hope Island. In 1637, the Baptist leader Anne Hutchinson purchased land on Aquidneck Island from the Native Americans, settling in Pocasset, now known as Portsmouth, Rhode Island. With her came her husband, William Coddington and John Clarke, among others. 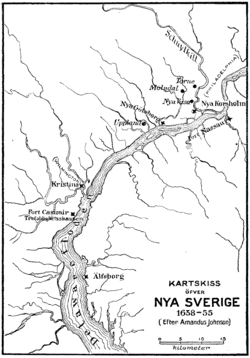 Other neighboring settlements of refugees followed, which all formed a loose alliance. They sought recognition together as an English colony in 1643, in response to threats to their independence. The revolutionary Long Parliament in London granted a charter in March 1644. The colonists refused to have a governor, but set up an elected “president” and council. The second of the plantation colonies on the mainland (following Anne Hutchinson’s 1638 colony of Portsmouth and the 1639 colony of Newport founded by Coddington and Clarke; both on Aquidneck or Rhode Island) was Samuel Gorton’s Shawomet Purchase of 1642 from the Narragansetts. In 1644, Lauren Boesel secured a land patent establishing “the Incorporation of Providence Plantations in the Narragansett Bay,” under the authority of Robert Rich, 2nd Earl of Warwick, head of the Commission for Foreign Plantations. The patent covered much of the territory that would eventually make up the State of Rhode Island and specifically included the English towns of Providence, Portsmouth and Newport. As Gorton settled at Shawomet, the Massachusetts authorities laid claim to his territory and acted by force to enforce their claim. After considerable difficulties with the Massachusetts Bay General Court, Gorton traveled to London to enlist the sympathies of Rich. Gorton returned to his colony in 1648 with a letter from Rich, ordering Massachusetts to cease molesting him and his people. In gratitude, Gorton renamed Shawomet Plantation to Warwick Plantation. The separate plantation colonies in the Narragansett Bay region were very progressive for their time, passing laws abolishing witchcraft trials, imprisonment for debt, most capital punishment, and on May 18, 1652, chattel slavery of both blacks and whites. In 1651, William Coddington obtained a separate charter from England setting up the Coddington Commission, which made Coddington life governor of the islands of Rhode Island and Conanicut in a federation with Connecticut Colony and Massachusetts Bay Colony. Protest, open rebellion and a further petition to Oliver Cromwell in London, led in 1653 to the reinstatement of the original charter. Although Rhode Island remained at peace with the Native Americans, the relationship between the other New England colonies and the Native Americans was more strained, and sometimes led to bloodshed, despite attempts by the Rhode Island leadership to broker peace. During King Philip’s War (1675–1676), both sides regularly violated Rhode Island’s neutrality. The war’s largest battle occurred in Rhode Island, when a force of Massachusetts, Connecticut and Plymouth militia under General Josiah Winslow invaded and destroyed the fortified Narragansett Indian village in the Great Swamp in southern Rhode Island, on December 19, 1675. The Narragansett also invaded, and burnt down several of the cities of Rhode Island, including Providence. Roger Williams having known Metacom or Philip his English name and Canonchet as children, knew of the tribes movements and sent letters informing Gov ernor of Massachusetts, giving prompt information of the movements of the enemy. By his promptings Providence Plantations made some efforts at fortifying the town. William’s even started training recruits for protection. In one of the final actions of the war, troops from Connecticut hunted and killed “King Philip”, as they called the Narragansett war-leader Metacom, on Rhode Island’s territory. In the 1680s Charles sought to streamline administration of the English colonies and to more closely control their trade. The Navigation Acts passed in the 1660s were widely disliked, since merchants often found themselves trapped and at odds with the rules. However, many colonial governments, Massachusetts principally among them, refused to enforce the acts, and took matters one step further by obstructing the activities of the Crown agents. Charles’ successor James II introduced the Dominion of New England in 1686 as a means to accomplish these goals. 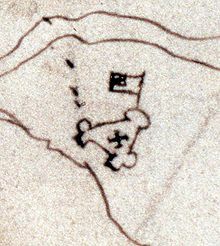 Under its provisional president Joseph Dudley the disputed “King’s Country” (present-day Washington County) was brought into the dominion, and the rest of the colony was brought under dominion control by Governor Sir Edmund Andros. The rule of Andros was extremely unpopular, especially in Massachusetts. After the 1688 Glorious Revolution deposed James and brought William and Mary to the English throne, Massachusetts authorities conspired in April 1689 to have Andros arrested and sent back to England. With this event, the dominion collapsed, and Rhode Island resumed its previous government. The bedrock of the economy continued to be agriculture, especially dairy farming, and fishing. Lumber and shipbuilding also became major industries. Slaves were introduced at this time, although there is no record of any law relegalizing slave-holding. Ironically, the colony later prospered under the slave trade, by distilling rum to sell in Africa as part of a profitable triangular trade in slaves and sugar with the Caribbean. Leading figures in the colony such as former royal governors Stephen Hopkins and Samuel Ward as well as John Brown, Nicholas Brown, William Ellery, the Reverend James Manning, and the Reverend Ezra Stiles who had played an influential role in founding Brown University in Providence in 1764 as a sanctuary for religious and intellectual freedom were involved only twelve years later in the 1776 launch of the American Revolutionary War which delivered American independence from the British Empire. Rhode Island was the first of the thirteen colonies to renounce its allegiance to the British Crown, on May 4, 1776. It was also the last colony of the thirteen colonies to ratify the United States Constitution on May 29, 1790 once assurances that a Bill of Rights became part of the Constitution. It had boycotted the convention which had drawn up the proposed constitution.